On the 10th of July at Bridgwater Town Hall (2-7pm) the EA and SDC will reveal the final form of their scheme for the Bridgwater Tidal Barrier. Its construction will shape the town for the next two hundred years. It is planned to be commissioned in 2024 and designed to operate for 100 years. The operational date is a political one rather than climate driven and unlike most similar structures it will be located within the town rather than at the mouth of the river. Mitigation of a similar fluvial flood event to 2014 is not part of the barrier’s function. People have been focused on the barrier yet the river banks are the important bit; what happens to them will decide how radically our existing landscape will change and have far greater impact than a set of gates. The downstream river banks are being maintained in accordance with the FCERM Strategy (the national flood and coastal erosion risk management strategy for England).Individual polices are detailed in the local 2010 Shoreline Management Plan covering the next 20, 50 and 100 years. For the Parrett those policies say that within the operational life of the barrier “The long term vision is for a more naturally functioning estuary, through construction of set-back defences under a policy of managed realignment.” Land is being returned to the tidal zone. EA maps produced in 2010 show how that will be achieved at Pawlett Hams and Chilton Trinity. The recently released BTB secondary flood defence plan and residual flood risk maps show the long term policies are being put in place. Only the river banks close to Combwich and Chilton Trinity housing will continue to be raised. Farmland will ultimately be flooded and lost as the majority of the river banks will cease to be raised to match climate change. Steart Peninsula’s habitat will in due course be extended to Dunball and Chilton Trinity. The present scheme means that the opportunity to increase the conveyance capacity of the Parrett capacity by moving a future replacement barrier downstream is lost. 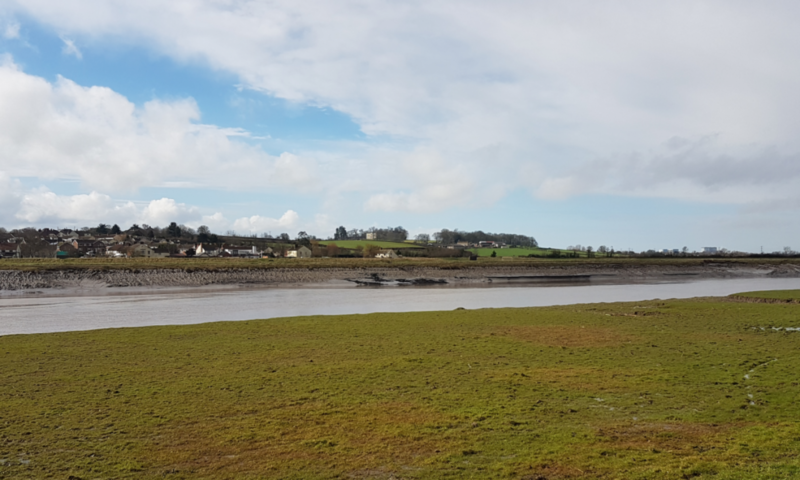 Taunton Deane and South Somerset may have to build fluvial storage on their land in the future. Opportunities for a cost effective bypass will be lost to the detriment of Bridgwater and West Somerset. As a naturally occurring event Somerset land owners will not receive compensation. Bridgwater will pay around £20m in lost land values towards the present scheme. A major economic impact on Somerset as a whole is just being ignored. It is simply not true or credible that the BTB can somehow be divorced from the EA’s longer plan for the Parrett Estuary; a plan prepared in 2010 predating the 2014 flooding of the Somerset Levels. The Bridgwater Tidal barrier in its present form passed its sell by date in 2014 when fluvial flooding moved from management on the Levels to flooding within our homes. Even today people still imagine that the Bridgwater Tidal Barrier is somehow part of the scheme to mitigate the 2014 flood, it could be but it isn’t. The Levels’ will still flood as they did in 2014 if we get similar weather conditions. With little information in the public domain including the option studies that supported the original 7 location and the shorter list of 4 it is not unreasonable that this scheme has many questions of transparency. it is unacceptable that important and relevant information is not available to the public ahead of the final consultation on the 10th of July. That flood maps produced in September 2016 have only just been published giving people little time to understand the implications of what is planned. If the FCERM Strategy and Parrett Estuary Flood Management Strategy are executed in their present form 1000’s of acres of agricultural land will be lost to food production. Is it morally right that the UK which cannot feed itself should export even more of its food production overseas and possibly deny food to others? This lack of responsibility on our part will no doubt be further compounded when our overseas aid budget has to be used to relieve a famine we as a nation knowingly or perhaps worse unknowingly contributed to. To reach this situation there is a clear lack of leadership, vision, scrutiny and oversight by those organisations and people charged with delivering the plan and the infrastructure for Somerset. Neither SDC nor the SRA has any engineering or qualified staff able to lead on flooding and has chosen not to bring in people that could. There is also a clear engineering deficit in the delivery of Somerset’s flood defences. Is turning the River Parrett back 500 to 1000 years and extending the Steart Peninsula wildlife habitat to Dunball whilst constraining economic development really what Bridgwater and wider Somerset need? Why wasn’t a barrier considered at Combwich and extending to Pawlett Hill that would protect the whole area. Arguments that we might impinge on the edge of the SSI is not an argument for not even looking at the possibility. Why does the barrier only do TIDAL and not FLUVIAL (2014 rainfall) with equal importance? What is the extra cost of building a barrier with a bridge on it? Previous PostPrevious Bridgwater Tidal Barrier is not in such a stupid place.